This is not the post I wanted to write tonight. But here we are and I’m writing it. Yesterday, we had to make the unspeakably difficult decision to let our Oscar go. He was 13 (going to turn 14 in January) and he had fought the good fight. I have had Oscar since he was about 12 weeks old. 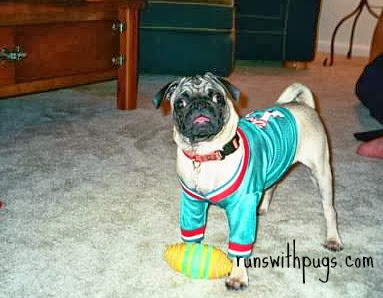 He was my first pug, my first baby, and quite frankly, perhaps one of the best dogs in the world. He was always just a little bit goofy (as you can see by the tongue that never quite fit all the way in his mouth), and so full of love it would break your heart. He always had some issues with arthritis and hip displaysia, but with the guidance and care of some excellent vets, we were able to keep him comfortable as he got older. He was mostly blind due to scarring from ingrown eyelashes (we had them surgically corrected to minimize the damage). It didn’t slow him down one bit, though. He could find his food and water, roam around in our backyard, and snuggle us like a champ. Last October, he had a bad episode. Panting, yelping and inconsolable. We took him to his vet and learned that he had disintegrating vertebrae in his spinal column. I’m sure there is a technical name for it, but I can’t remember it right now. While it could be managed with medications, there was no cure and the condition would only continue to worsen over time. Between the vet, Mr PugRunner and I, we decided that we would take a wait-and-see approach. Everything went beautifully. Sometimes, we had to adjust his meds. Often, we had to get up at four in the morning so that he could go to the bathroom and, in true senior citizen fashion, eat breakfast. We didn’t mind. He was our sweet boy. Recently, things got harder. He would lose his footing and fall a lot. He had more accidents. He would get lost in corners. He still wasn’t in pain but he was starting to struggle. And then Sunday night, he couldn’t settle. He was hurting. And even though it broke us to admit, it was time. We are so thankful to our vet and his staff. 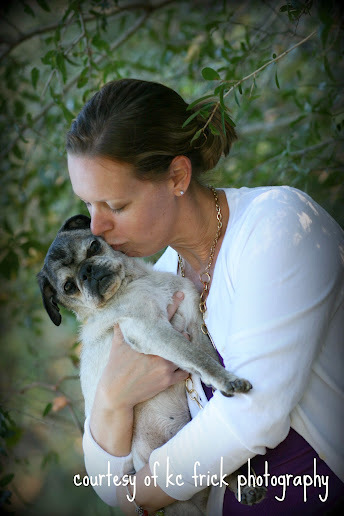 They have always provided our pugs with the best of care, and we are grateful for their kindness and compassion. Dr. R stayed with us til the very end, and we appreciated that more than we can express in words. I’m trying to focus on the memories. I remember when I took him to puppy training, he was supposed to sit and stay, and then I was supposed to walk in a circle around him, while he remained, staring straight ahead. He couldn’t bear to have me out of his sight, so he would use his front paws to spin himself around on his bottom. Even the trainer thought it was hilarious and we never corrected him. He would sleep with his tongue sticking just slightly out of his mouth, and it would always get so dry and crispy, like a little potato chip. Incidentally, his favorite place to sleep was curled on my chest. And in the end, that’s where he was when he passed. Popcorn was his favorite. We have an air popper and he would go nuts when he heard me pour in the kernels. If I walked away for a minute, he would start whining because popcorn must be monitored at all times. He loved his little boy so much. Little man was always very gentle and careful with him, and Oscar repaid him with eternal devotion. I’m so grateful that they shared such a special bond. I hope he knows how much we loved him. I know he’s not hurting anymore, and I hope that in his dog heaven, beyond the rainbow bridge, he is nomming on bacon and running and jumping and playing with new friends. I am a selfish person, because I want him here with us, rather than there, but it wouldn’t be fair to him and he deserves so much better. We are all devastated. We miss that sweet face so much. He was always so happy. But we are trying to find peace in the knowledge that he is whole and free of pain, with his puggy sister, Annabelle, who was taken from us way too soon. We miss you, sweet boy. The hole in our hearts will never be filled. I’m so sorry for your loss. 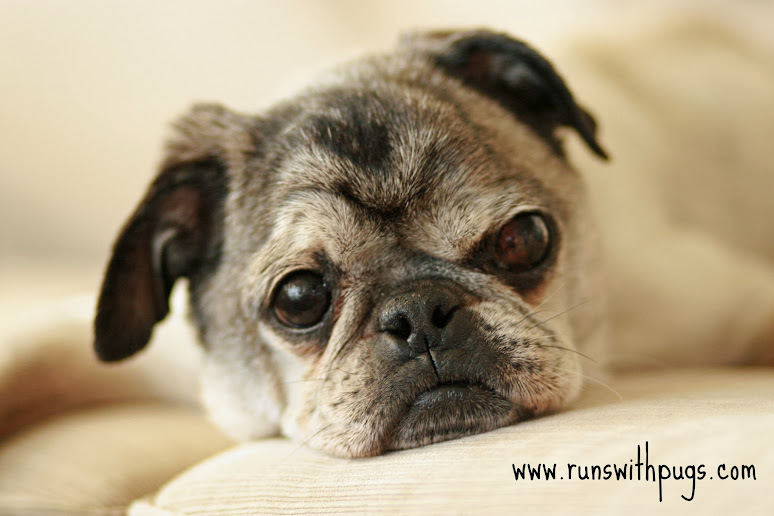 Losing a pet is never easy as they are such an important part of our lives. Sending lots of hugs your way! I’m so sorry. That’s such a difficult decision to make. I’ve been through this, so I completely understand. In time, may the pain of your loss of your beloved Oscar be replaced with the joyful memories from the happiness that he brought into your lives. I am so sorry for your loss. I have a 6 year old pug/baby who is my world; I can’t imagine him not being around. Prayers for you and your family in this difficult time. This post made me cry, especially when I got to the part about Oscar loving A. I am so sorry for your loss and I’ll be thinking about you and your family throughout these hard times. I am so sorry for your loss, he sounds like a sweetheart. You make a wise decision in letting him go without suffering anymore, and I hope that brings you comfort. ari @ whatarisaid recently posted…changing tastes… and having a sale! This is such a hard thing to have to do. I am crying right now for you. I can’t even imagine what I would feel like if I had to say goodbye to my Bo. He is my world in so many ways, I would be so empty. I’m so sorry for your loss. There is nothing worse than having to make that decision. This is awful news. I know that with pets we always have to face parting from them at some point, but it is always so difficult. You gave him a great life, though. He couldn’t have spent it with anyone better, I’m sure. Sorry sad for you. Losing a pet is horrible. I’ve had to put 2 cats to sleep. Oh no… So sorry for your loss, Jenn. Pets are truly family and losing one is so tough. Thinking of you today! I’m so sorry for your loss. I know how hard it can be to let a beloved pet go, they’re more than that, they become family. He was such a cutie! Sending you and your family lots of virtual hugs! 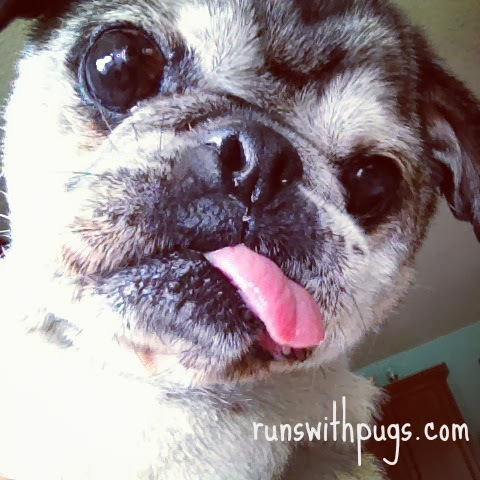 Elizabeth recently posted…Black Friday, Cyber Monday and Kindrunner Contest! So very sad! Tears rolling down my face. I am so sorry to hear about your loss of Oscar. One of the unfortunate things in this world is the fact that our fur-babies do not have the lifespan that we do. Lots of hugs to you and your family. So sorry. We just had to put a 12 year old family dog down and it is so hard. People without pets just don’t understand that they are like family. Think of you. So sorry. :'( oh Jenn I’m so sorry. Pets are always part of the family. He was well loved you can clearly see that. Hugs to you and your family. I am so sorry for your loss. 🙁 Our dogs are/have been family members to us, so I fully understand how hard it is to lose them. You have amazing pictures of him. Thanks for posting such a beautiful tribute to his life. I’m so sorry for your loss. I loved the way you wrote this about Oscar remembering all the quirky things that made him a unique pup. It makes me sad that animals can’t be with us as long as we would like for them to be but at least we had them for a moment of time where they made our lives amazing. Again, I’m so sorry and I wish you and your family healing during this hard time. Oh wow. I am so sorry for your loss. Losing our furry family members is so hard! Thank you for sharing your memories and sweet pictures. Shannon recently posted…And now what? I am so, so sorry for your loss! It sounds like Oscar brought amazing joy and happiness to your family’s life. Jenn, my heart goes out to you. I know how you feel having to make the hard decision myself a few years ago with my first pomeranian Juliet. Circumstances were different and sometimes I blame myself though everyone including the vet says that I shouldn’t. I still sometimes play the what-if game but I really shouldn’t. She was my first pomeranian, my first dog that I was responsible for alone as an adult out on my own. She was my baby. My heart hurts for you. I just know that Oscar and Juliet are up there having fun, chewing bones all day and running around until they fall over. 🙂 Thinking of you and the faily. I’m so so sorry for your loss. I’m glad we had the chance to talk about him before Space Coast Half. And even though he was only there a few days before, hopefully he can help Tessa out over the Rainbow Bridge. Thank you, Andrea. We are still so very broken. I am so sorry. I teared up reading this. Saying goodbye to a dog is like saying goodbye to a child. My parents just had a similar thing happen with one of the dogs we had growing up. It was horrible, and even when I was home for Thanksgiving we couldn’t talk about him without getting lumps in our throats. I’m so sorry.